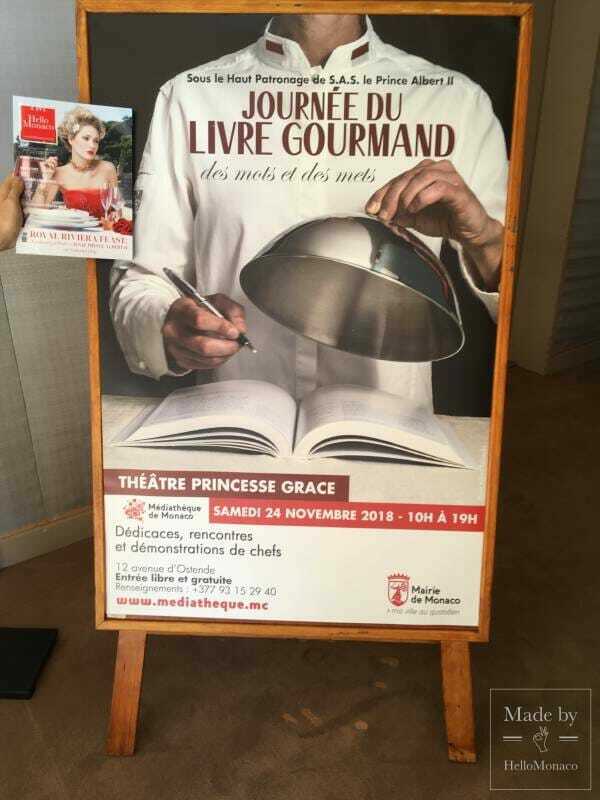 Theatre Princess Grace, where under the Patronage of HSH Prince Albert II the “Journee du Livre Gourmand”, entertains and informs in equal measure. What a venue! There is lots of space to walk around and browse through books, or go into the Theatre and watch live cooking demonstrations or listen to great authors and chefs sharing their secrets. Definitely go for the gorgeous books. There is always something special about those colourful spreads. You can savour the dishes just with your eyes. Laura Zavan makes a beetroot risotto so purply rich, so pungent with the perfume of ginger and onions gently sautéed in butter, you die and go to heaven tasting it. And that alone is enough of a reason to go. In between feasting your eyes on the books and tasting divine risotto or duck from a live cooking demonstration, mix in and rub shoulders with the great Chefs of the world. They are there walking around ready to share their passion with you. Just go up to them and say Hello. And if you like excitement in your discussions, ask an Italian gourmet author if raviolis are an original Italian creation or came from Marco Polo’s travels to the Orient! Perhaps you want to hear some gems about high diplomacy in the feasting of Royalty and Presidents around the world. Sit in on the discussions in the Theatre. Ask what it is like to serve Nelson Mandela or the Queen of England. You may even hear some tidbits about Prince Albert’s own prized vegetable garden. We already know about their extraordinary accomplishments, but we wanted to know more about the singular human experiences they each share when things go pear-shaped in life – like they always do, even with geniuses. And in their last twenty-four hours on earth what would they like to eat? Christian Garcia* recalled the honour one day of being introduced to Prime Minister Rajoy of Spain. Looking back on it he smiles kindly at the memory. Of course, seeing the name Garcia, which is a name with Spanish roots, Prime Minister Rajoy was delighted to burst into Spanish rather than Christian’s native French. But, interestingly, Spanish is not one of the languages that the Sovereign’s Executive Chef speaks. So silence reigned in the Palace, just for a few moments. A humbling and humorous moment looking back for a gentleman that is so eloquent in the language of Molière – one of life’s little surprises and something that we can all relate too. * Christian Garcia, Executive Chef at the Prince’s Palace. 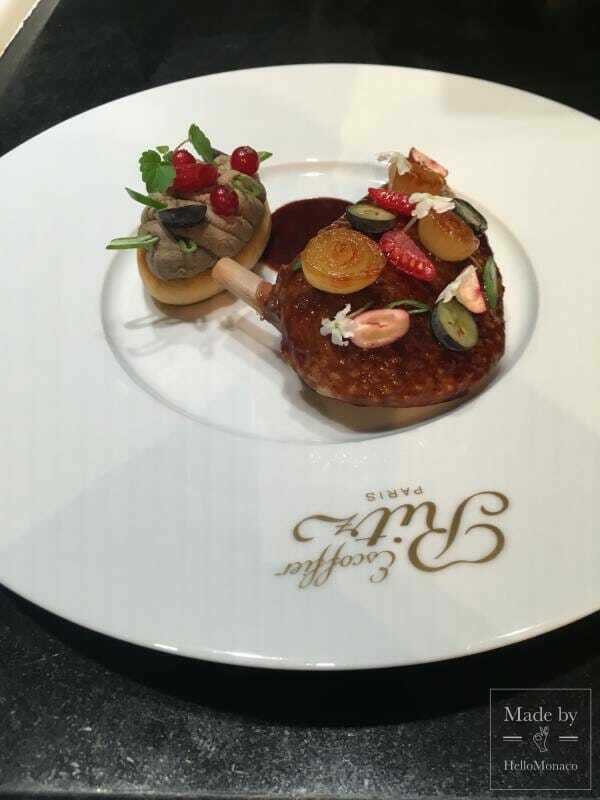 Is there a Head of State in the World who with Prince Albert has not delighted at his fine cuisine? Similarly, Jerome Rigaud*, as a star Chef in the Kremlin, found himself faced with a potential nightmare scenario. Jerome can make a pigeon feast fit for the gods and was waiting his chance to make Russia’s President Medvedev and visiting dignitaries proud. On the appointed day, as the diners awaited, Jerome checked his masterpiece in the oven – and the oven had mal-functioned – it was cold as ice. 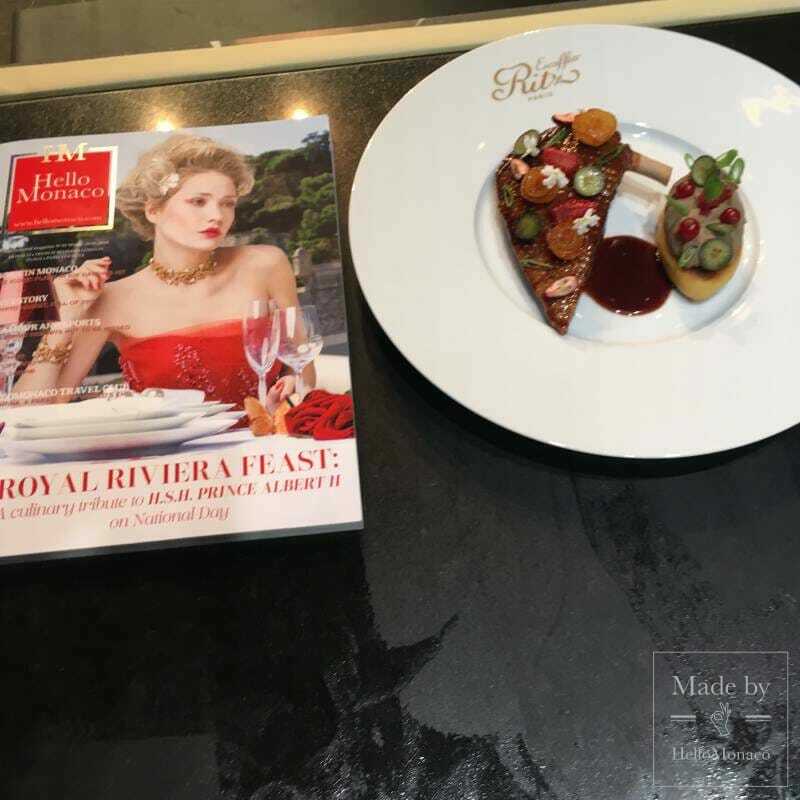 This quick-thinking Chef served up a variant of « Pigeon Tartare » (lightly seared with delicious accoutrements) as an appetizer that earned him applause – while he sought another grill on which to cook the main dish. He still has nightmares about that oven. * Jerome Rigaud of Monaco Yacht Club fame, and creator of banquets at the Kremlin given by the Presidents of Russia. Then Philippe Joannes* found himself face to face with the surreal one day. He had assembled a team to create an intricate gem of a dessert for a very special anniversary – it was to be a sugar masterpiece in the shape of a Ferrari and it had to be gleaming yellow. Around midnight as the team were putting the final touches to this work of art, the word came – NO, it must be a RED Ferrari. Stressed out, they worked through the night and had the miniature sugar Ferrari ready for the anniversary. 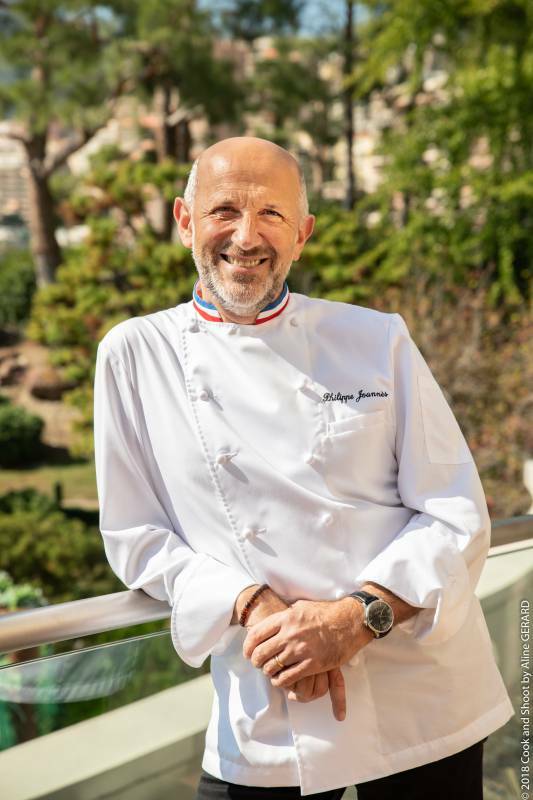 * Philippe Joannes Director of Culinary Events at SBM, “Best in France”, (Meilleur Ouvrier de France, 2000) and famed X-Executive Chef at the Fairmont, Monte Carlo. Bringing it with much fanfare into the Gala ballroom – there in the middle of the ballroom, to their horror, on a specially constructed pedestal was a real full-sized red Ferrari. A wicked goblin had somehow sent the order for the sugar miniature by mistake. It was a “deer in headlights” moment that Philippe can smile about years later, but at the time he was almost brought to tears. Of course, there are inspiring moments. Christian Garcia remembers with emotion that one life-changing moment when he was invited to cook at the Palace and then stayed to guide the cuisine there for the next thirty years. Since then, the self-imposed stress of wanting everything to be perfect, has been rewarded with wondrous events, including illustrious Heads of State who congregate with Prince Albert. He was challenged to come up with a “diamond themed” feast for Nelson Mandela in South Africa. And Christian has toasted the Queen of England with Champagne at Buckingham Palace. And being the gentleman he is, he did not repeat to Queen Elizabeth or the Duke of Edinburgh the joke about breakfast being the only meal worth eating in England. And one of Jérôme Rigaud’s most memorable moments was cooking a Barbecue for Heads of State. Typically, no matter whether at the pinnacle of their craft, Chefs are sweating away in the kitchen, even if they are occasionally rewarded with moments of applause later. But in a Barbecue setting Jérôme experienced the whole feast almost in the same way as the guests. It is for him an extraordinary memory – for a few hours in a dream-like way he swapped his Chef’s attire for those of a Head of state. 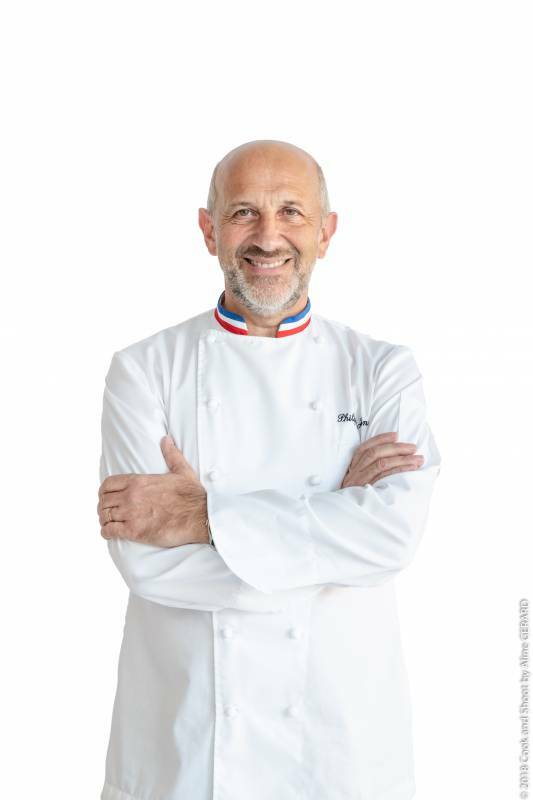 Philippe Joannes was telling HelloMonaco how he was inspired by the great Gaston LeNotre when we decided to pose a “last supper” question to all three. Faced with the guillotine and a last meal what would they choose. It did not surprise us when Philippe mentioned a simple dish but super-charged with memories – the humble stuffed tomato (tomate farcie) his mother used to make him. He doesn’t even have the recipe, but he can still feel the emotion. That is his test of a great dining experience – the emotional imprint that it leaves. Similarly Jérôme also eschewed the regal Russian dishes and, faced with his last moments on earth would forego caviar and sup on a gigot of lamb dish. We were pretty sure that the divine white truffle would somehow make its way into a last supper. 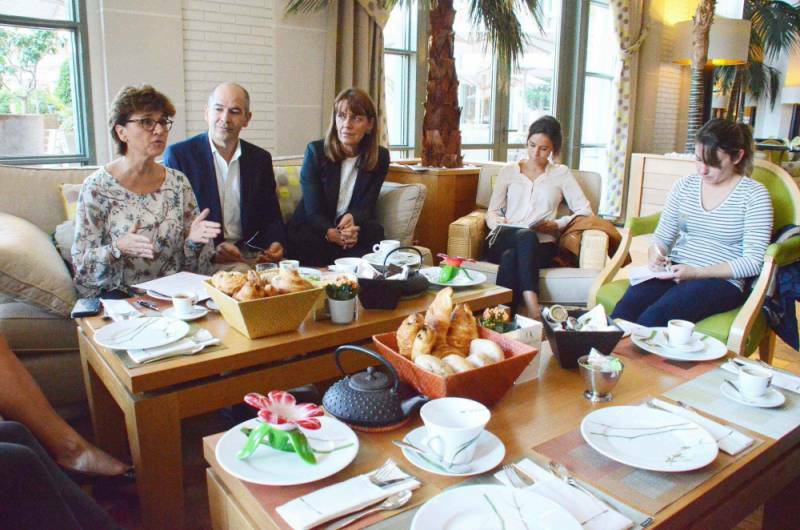 Christiane Garcia would likely ask for the guillotine to be erected near Alba, not too far at all from Monaco. He would take a hunting dog with him and spend his last hours hunting and then dining on the princely white truffle. HelloMonaco thanks these three wonderful Chefs who were great sports and willing to share secrets about real life happenings when things don’t quite go as planned. 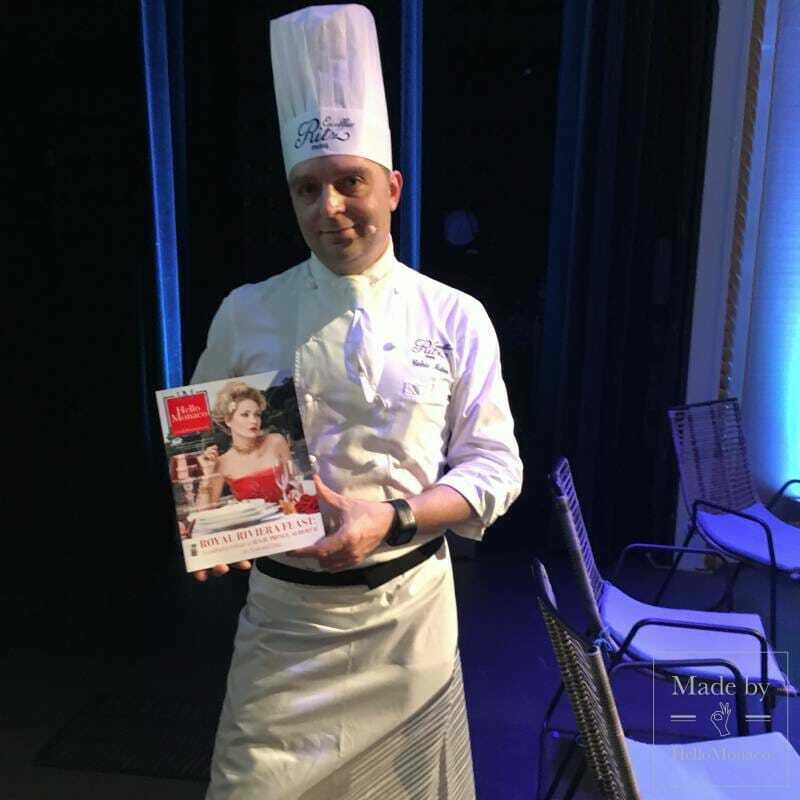 They will be spared the guillotine to the joy of those of us who will be able to go to Theatre Princess Grace again next year, browse through their books, savour their magnificent dishes and listen to their entertaining tales.